At IDR Solutions lately, I have been working a lot with the NetBeans platform has part of my preparation for my talk ‘Lessons Learned in Developing a NetBeans PDF Viewer Plug-in in JavaFX [BOF2317]’ at JavaOne 2014. 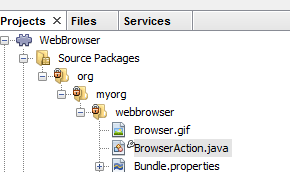 Some of the things I have been working on include writing various plugins for the NetBeans IDE. 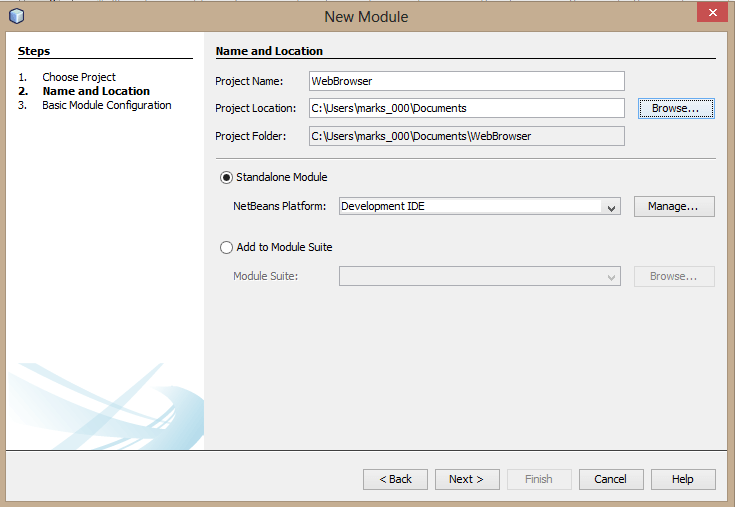 File → NewProject → NetBeans Modules → Module and click Next to continue. 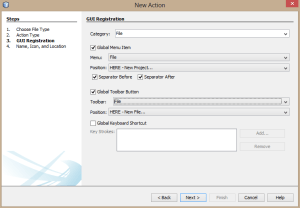 Give your Project a name and select the location that you want your project to be save to. Click Next. Give your project a unique name (all in lower case letters) as well as the displayed name. Click Finish. Now you should be able to see your project being created. 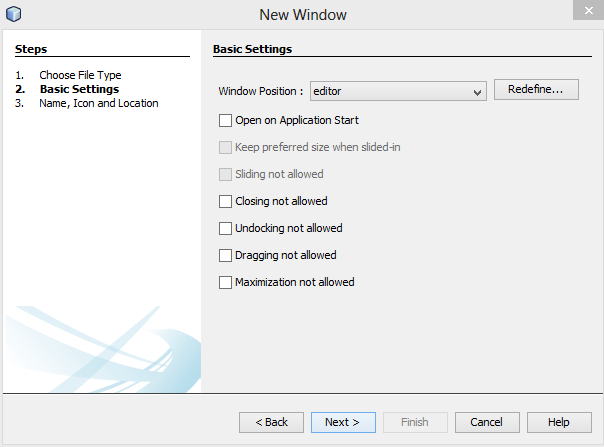 Accept the default settings and click Next to continue. 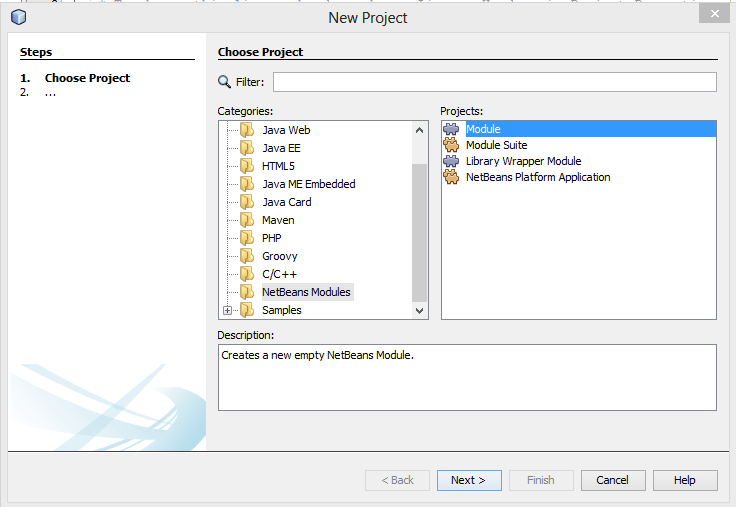 Select the category that you want your project to appear under in the NetBeans category bar. 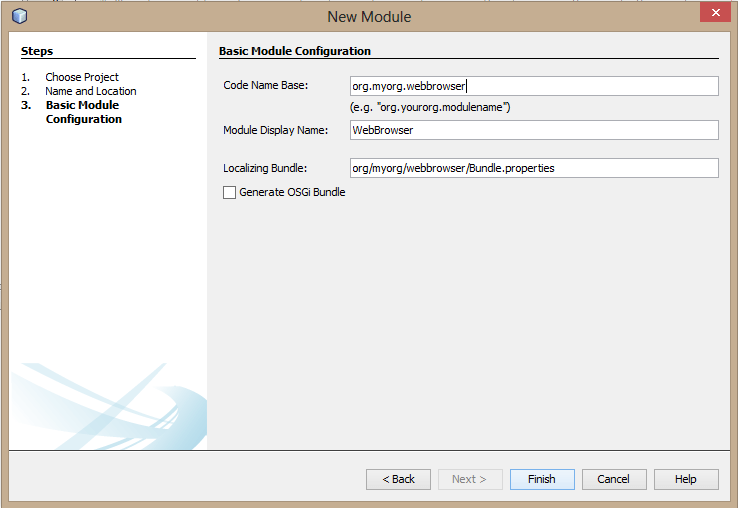 Select the position of your plugin in the drop down list under the category you choose. 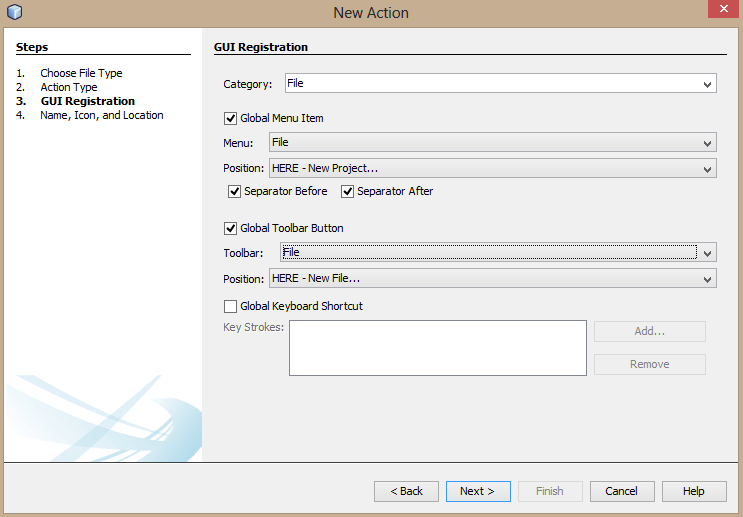 If you want the short cut icon of your plugin to appear in the toolbar select the “Global Toolbar Button” option. Click Next to continue. Type the Class Name and the Display Name. 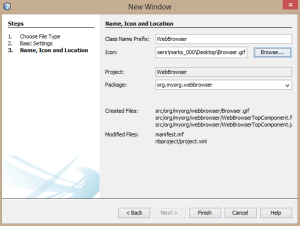 If you choose the “Global Toolbar Button” option select the icon for your plugin. 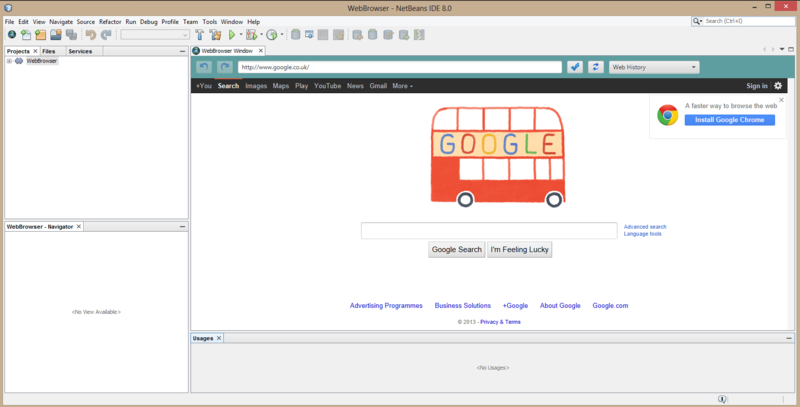 WebBrowser -> src -> org -> myorg -> webbrowser -> paste your images. Also make sure that the Source Level that you are using is 1.8. Right click on the WebBrowser plugin go to Properties and select the 1.8 Sourse Level. 4. Add code to the TopComponent Class. 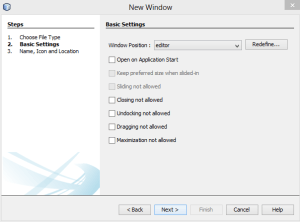 In this part of the tutorial we will be adding the JavaFX code into the Swing application as the NetBeans Plugins are Swing base applications and our browser is written in JavaFx. 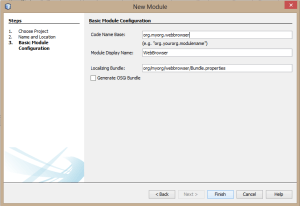 So you can also master your skills on integrating JavaFX with Swing. 5. Add code to the Action Class. 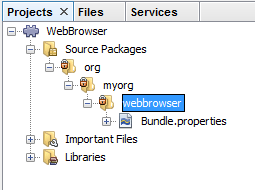 So that is how t o create WebBrowser plugin. 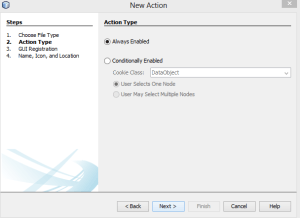 When you run the code NetBeans opens an other instance of NetBeans where you can test your code. 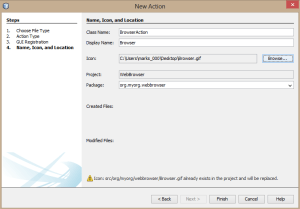 However if you want to install your WebBrowser plugin into NetBeans Platform right click on the WebBrowser plugin and select Install/Reload in Development IDE. 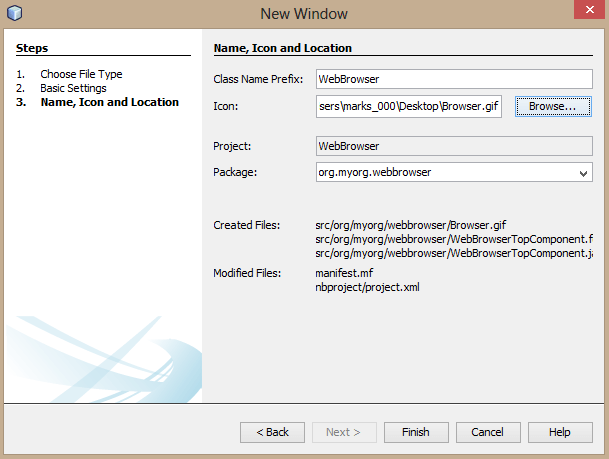 Now you should be able to see your WebBrowser icon on the toll bar as well as in the file option. 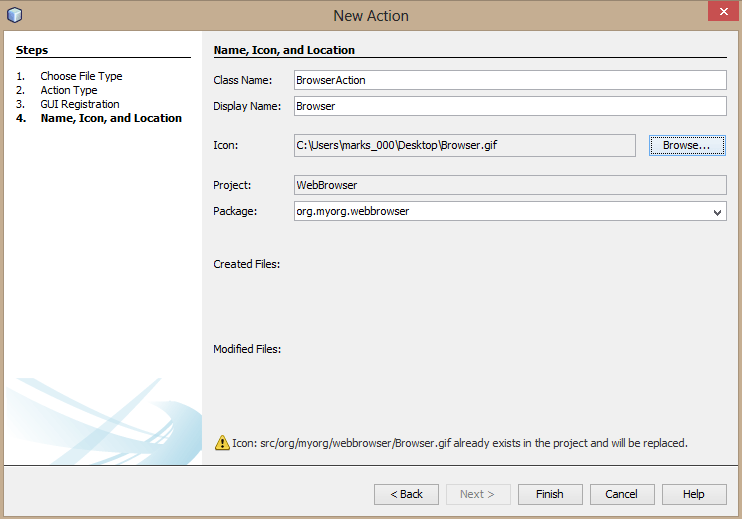 Now you are having fully functional web browser installed in your NetBeans Platform. 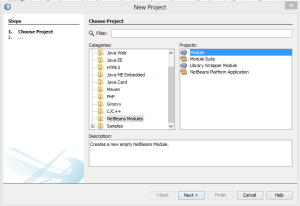 Please check our blog for more Plugin and NetBeans related articles. If your interested you can download our PDF plugin from here.